You heard the saying, “Time is gold.” Sometimes you can’t help but be in disbelief when time passes you by so fast you can’t imagine how it just went by in a heartbeat. What better way to manage your time wisely than to use time management tactics in order to improve your life and make your day efficient. Helene Segura, could be the answer to your time-saving woes. 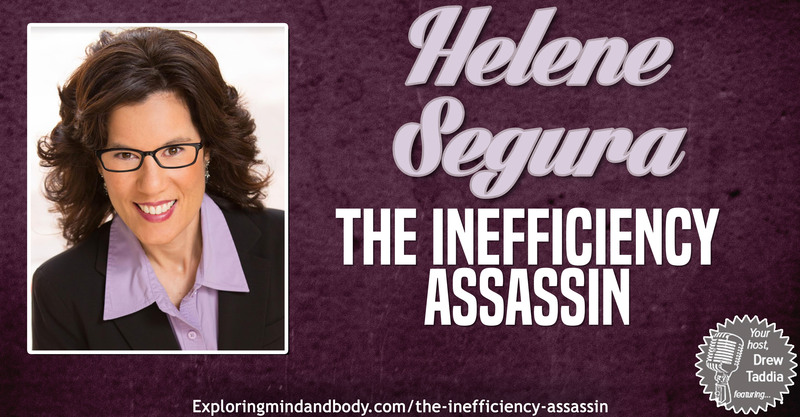 She is the author of the book, “The Inefficiency Assassin.” She combines neuroscience, educational psychology and pop culture to teach her individual clients and keynote and training audiences how to improve their efficiency during their work day so they can have a life outside of it. You can find her website in the show notes below. how will delaying it benefit me? make an appointment with yourself to do it. schedule in your calendar. estimate time duration. install procrastination apps in your cellphones. helps remind you of your procrastinating habits. proactive level. what do I do tomorrow to get ahead.